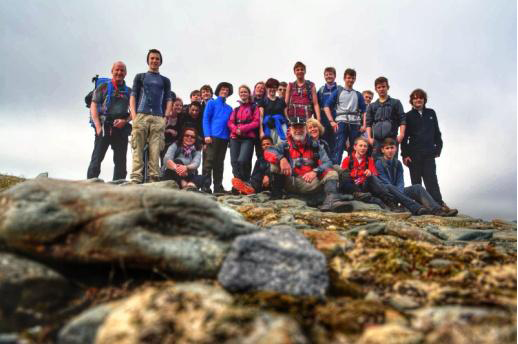 During the weekend from Friday 11th April to Monday 14th April fifty Scouts, Explorers & Leaders ventured into the wilds of Snowdonia. 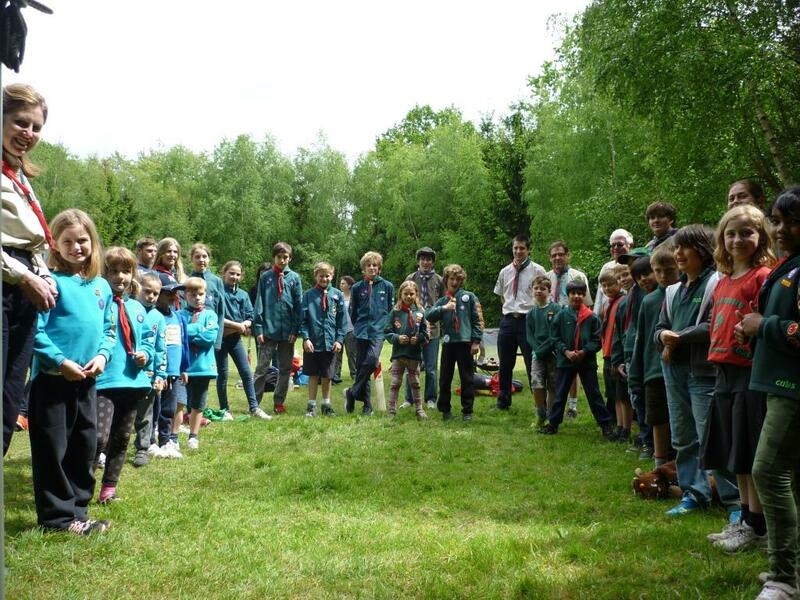 This was a joint trip with 99th Reading Scouts and Loddon District Explorers. 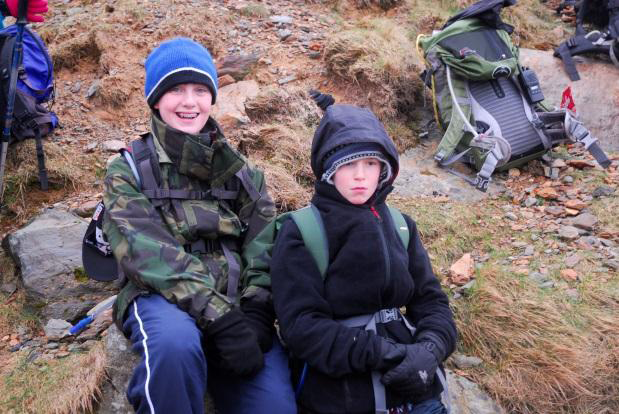 Staying at the Llanberis Youth Hostel as a base, several hikes and activities were undertaken during the long weekend. 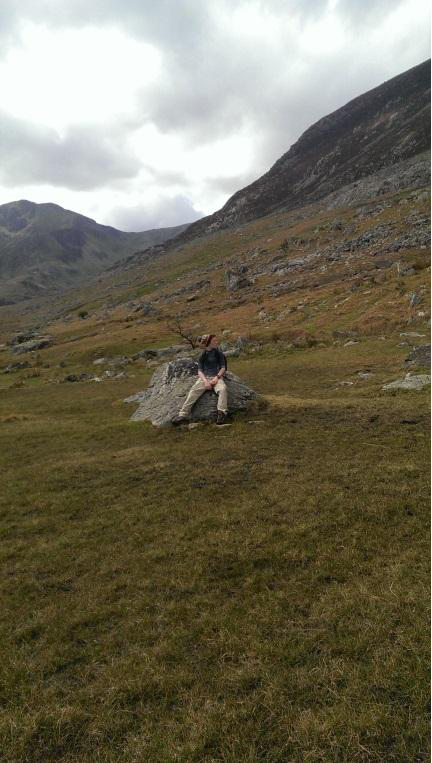 On Friday, during the journey to the youth hostel, a stop was made at Llyn Ogwen to undertake a 4 hour ‘warm up’ hike. 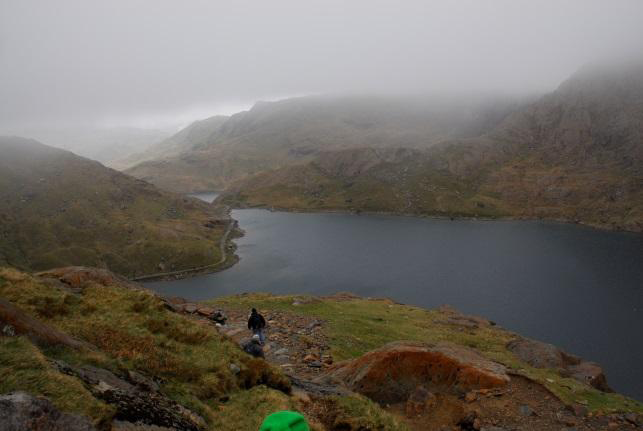 Three walking groups climbed to the summit of Pen-yr –Ole –Wen and the other three followed the Heather Terrace to the bwlch between Tryfan and the Glyders and then descended back to the lake. 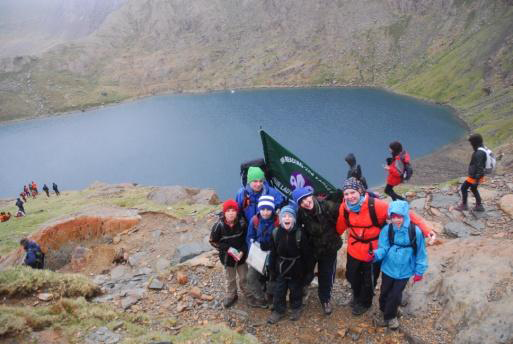 Saturday was the main hiking day with all the Scouts & Explorers being led by various routes up to the top of Snowdon. Unfortunately the peak was obscured by cloud – well there’s a surprise! 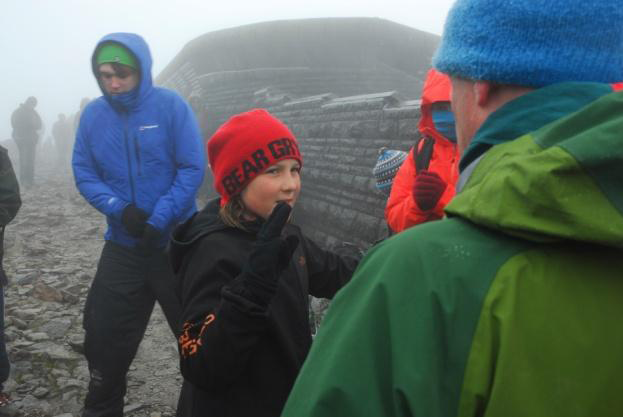 One of our new Scouts, who had just come up from Cubs, was invested at the peak of Snowdon. 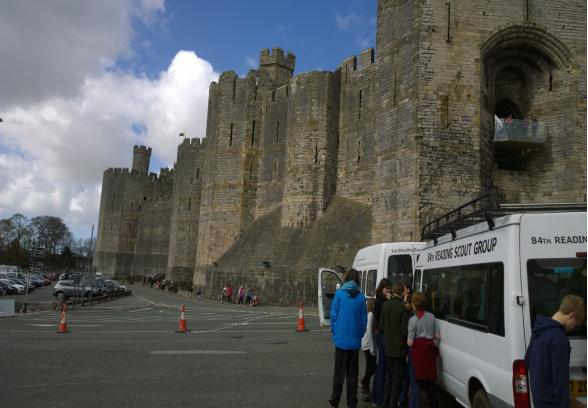 It was the most unusual place I have ever invested a Scout and certainly the coldest. 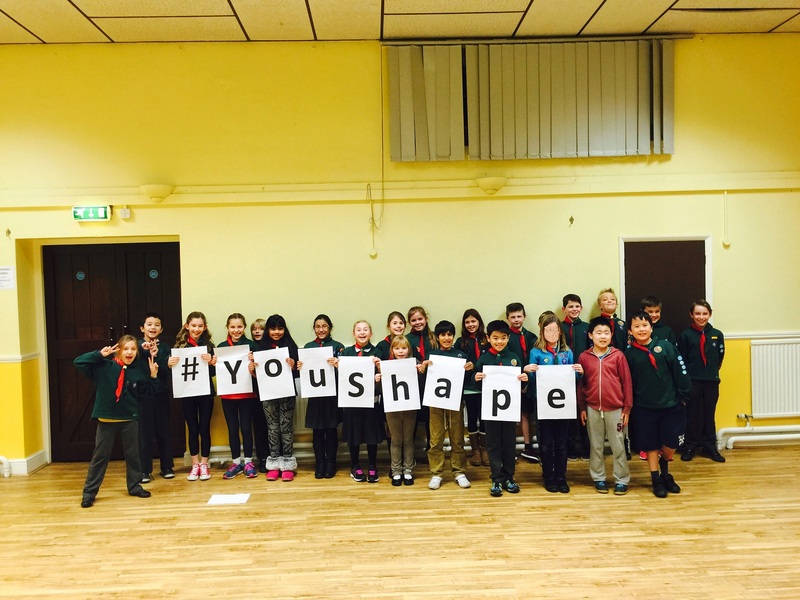 Needless to say the investiture was conducted with all due ceremony – just very quickly. 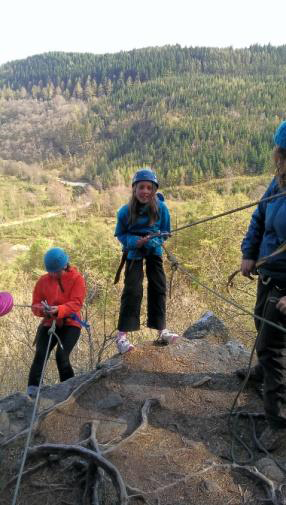 On Sunday most of the group spent the day either gorge scrambling or abseiling. 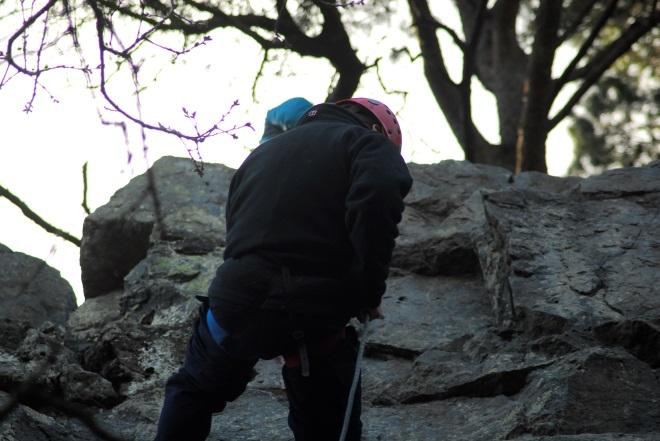 After this a band of intrepid (mad) hikers decided to go on a night navigation exercise. 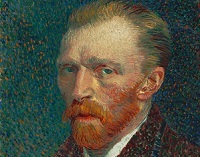 One happy – one not so sure. You’re sure this rope’s strong enough? 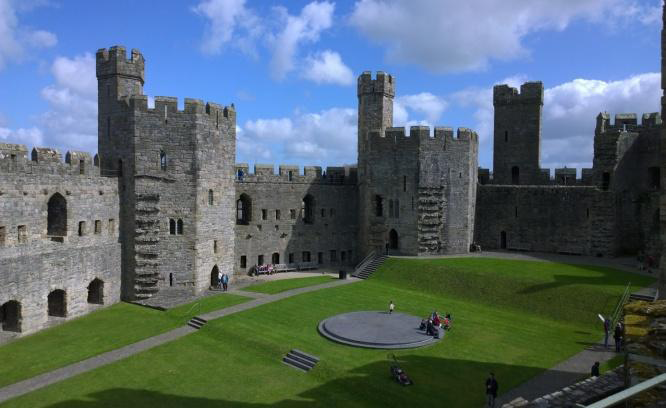 The weekend concluded with a visit to Caernarfon Castle; but once again a number of Explorers decided to spend the morning hiking yet again. 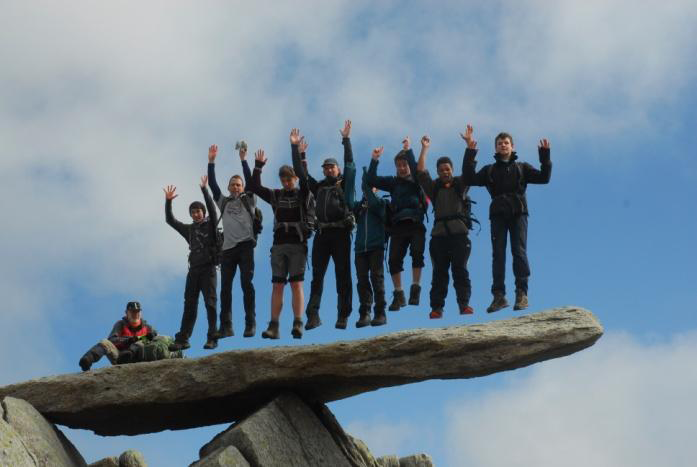 If they just jumped a bit higher, I’m sure they could have catapulted that leader over to the other side of the valley.